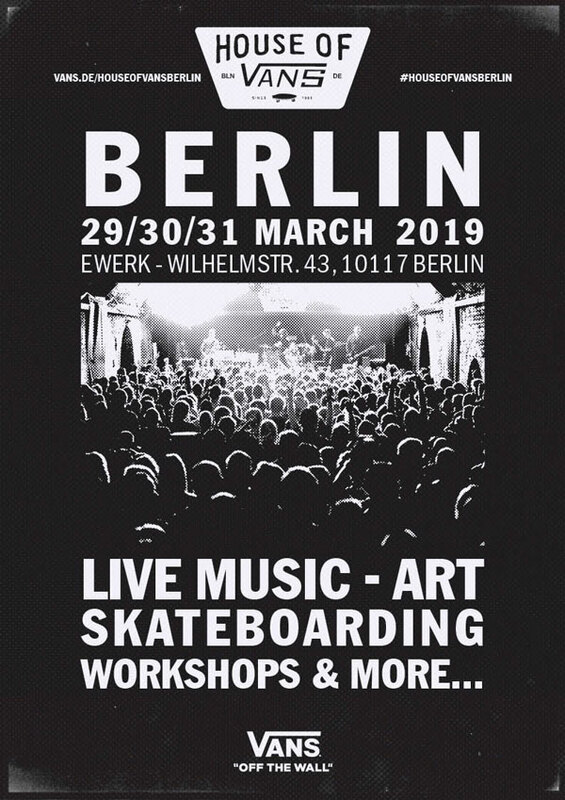 Vans has announced plans for one of its largest House of Vans experiences to date, the pop up will be based in Berlin, Germany with music, art, action sports and street culture taking place from March 29-31, 2019. To RSVP follow this link. Press Release: Stabio, Switzerland. (Mar. 21, 2019) – House of Vans announces its latest destination arriving in Berlin, Germany March 29-31, 2019, at Ewerk. Wilhelmstr. 43, 10117 Berlin. Vans will revolutionize the building into a cultural hub celebrating art, music, action sports and street culture bringing Vans’ “Off The Wall” spirit to life. With an array of curated programming free to the community, this unique pop-up experience will be one of the biggest House of Vans experiences to date.